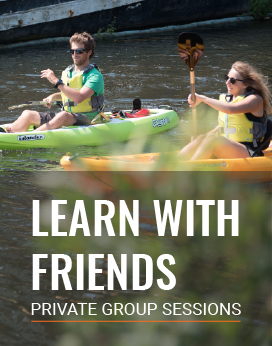 Common questions about our kayak lessons, answered. I’d like to give kayaking a go, but don’t think I can? 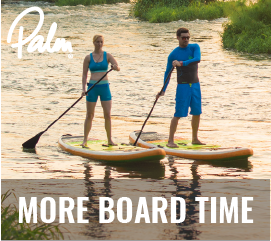 Paddlesports is for everyone. Whether you think it’s not possible because of age, disability, illness or good old fear we will show you otherwise. Perhaps book on to a One on One lesson to find your confidence. Our scheduled courses are available to book online or by phone. For one to one and small group sessions please email [email protected] or ring 01392 219600 to discuss what you would like to do. We will arrange a date and it’s that easy. Payment is required at the time of booking, your place on a course is not guaranteed until the payment has been received. Do you run courses for children? All of our scheduled course dates are for adults (18+) only. However, our private bookings and create your own day are open to families. What this means is that if an adult acting as a guardian is coming they can bring children from the age of 8 upwards. 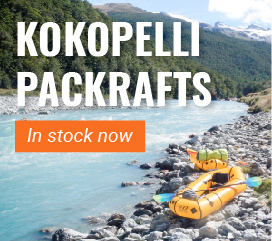 Popular for families who are getting into kayaking. Warm light clothing, fleece is ideal. Solid footwear that you’re happy to get wet. Old trainers are perfect. On full day courses please bring a hearty packed lunch and plenty to drink. Any paddling gear you may own. There are a couple of excellent waterside pubs that we cross on our one day courses or day trips so please bring some money with you on the water in case we stop for a refresher. What kayaks do you use? We have a great fleet to use. We offer lessons in all craft, Sit on Top, Sea Kayak, Touring Kayak, Open Canoes, General Purpose Kayaks. We consider ourselves to be very lucky. It’s not often you get to learn or teach people in top end modern quality boats. If you’re looking at getting into the sport and want to try a boat or have a preferred boat then please get let us know and we will do our best to reserve it. We also supply comfortable zip entry buoyancy aids, Long John wetsuits and paddles. But feel free to bring your own equipment if that’s what you’re comfortable with! Will I have to capsize? Whilst some people are keen to get wet others aren’t. Our aim is for you to learn and enjoy the day so if you don’t want capsize we won’t make you. Obviously, we can’t guarantee you not having a little dip but have a chat to your instructor if it is something that worries you, they will be able to help. We take lots of one to one lessons on becoming comfortable with the water and capsizing. Our inhouse instructor Liam is part otter and always willing to get in the water to guide you through it. Tuition is a small but hugely important part to AS Watersports. As such we can’t accommodate huge groups. We specialise in 1 to 1 instruction and small groups. This means all our courses are of a high quality. For One to Ones we have changing rooms and secure lock up in the shop for your bags. Larger groups and weekend courses we use the facilities of Exeter Canoe Club with who we have a close partnership. This gives us access to a large changing room, hot showers, a classroom and tea and coffee making facilities. Drive past the shop (on your left) and carry on 100m. Take the first right into a large public car park. We reserve the right to cancel courses/trips and tuition at any moment if we feel the weather is unsuitable. We require 48 hour notice for you to cancel your lesson, course or trip. Any later than this and you will be charged at the full rate. Please call if you are running late.